Called everything from “postcard looking” to “idyllic,” Reine is a small Norwegian fishing village nestled in the Lofoten Archipelago, a picturesque string of islands within the Arctic Circle.This touristic destination is visited by thousands people each year who come to gaze upon its natural beauty. 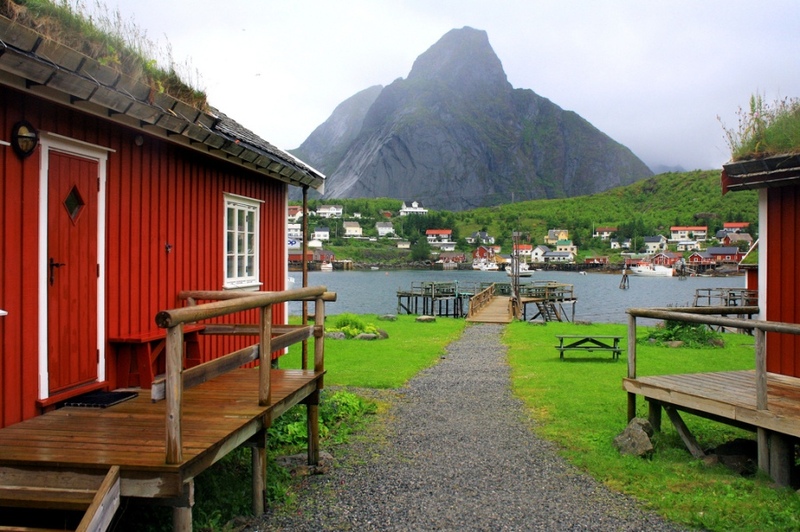 You can camp under the stars on nearby beaches, catch a ferry to a neighboring village or conquer some of Norway’s best hikes. One, which takes hikers up the mountain called Reinebringen, leads adventurers to breathtaking views of the island chain from above. You’ll also catch aurora borealis from about September through April on chilly, clear nights. Norway is undoubtedly one of the most beautiful places on Earth. It’s home to more natural wonders than we can count and it has stunning cities, fascinating history and really happy people. It’s a particularly stunning sight after a snowstorm in the winter, when fresh snow covers the mountains, or during blue hour, the time immediately after sunrise or before sunset. Enjoy the view!